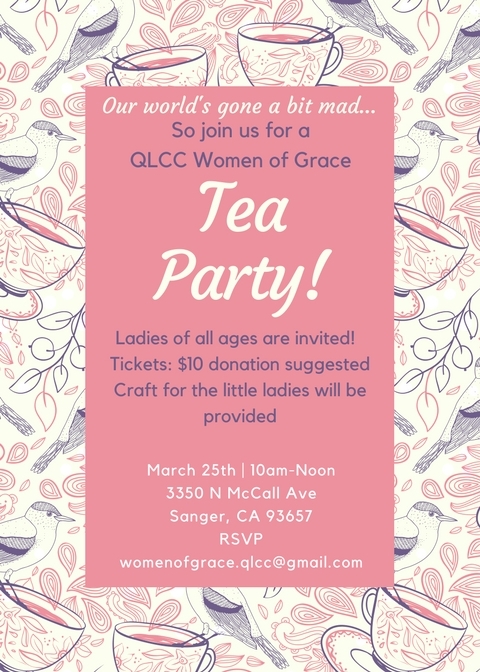 Women of Grace events are designed with women of all ages in mind, purposed for a time of refreshment of body and spirit as we draw near to our Lord and Savior, Jesus Christ. You need not be a member of Quail Lake Community Church to attend events, nor is there any obligation for membership. Events are created to serve the community and glorify God through Biblical teaching and fellowship.